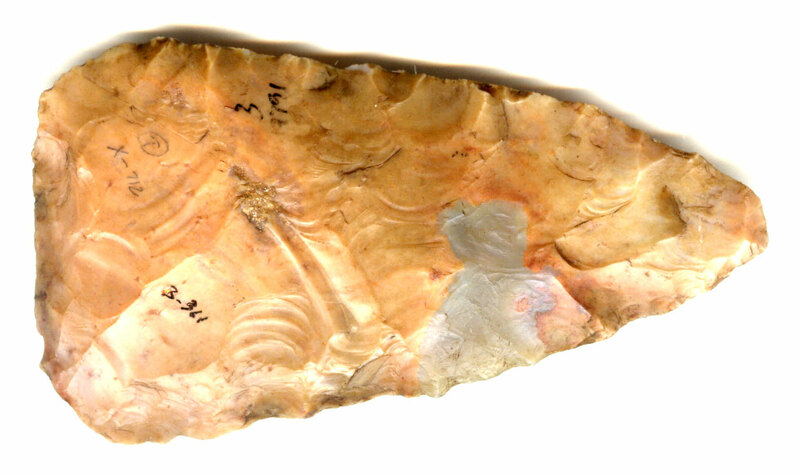 A Medium To Large Size, Colorful, Nicely Flaked, Visibly Anciently Aged North Blade That Exhibits Surface Sheen & Stone Aging Coloration Patination, Aged Surface Deposits, Correct Woodland Style Blade Flaking,Visible Aged Surface Patination Correct Material And Manufacture For The Area Found. Ex-Ed Buel, Joe Kinker & Chuck Strobel Collections. North Blades Are Believed To Be A Preform For The Snyders Points, Often Being Found In Caches. This Is A Very Nice Colorful Example! Includes A Ken Partain Certificate of Authenticity!